milk is one of the 1000 most common headwords. 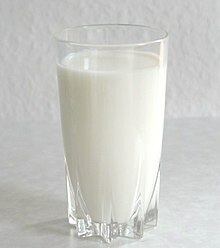 Milk is a white liquid some animals make for their babies to drink. People often drink cow's milk. The boy had some fresh goat milk. (transitive) If you milk an animal like a cow or a goat, you take the milk out of it. This page was last edited on 8 January 2019, at 02:35.